At last night’s premiere of his new film, Valentine’s Day, director Garry Marshall said that he wants to do a Laverne & Shirley movie starring Jennifer Garner (Alias) and Jessica Biel (7th Heaven). The Laverne & Shirley sitcom ran for eight seasons on ABC, from 1976 until 1983. The show revolves around a pair of best friends and roommates who work at a local brewery in 1960s Milwaukee. 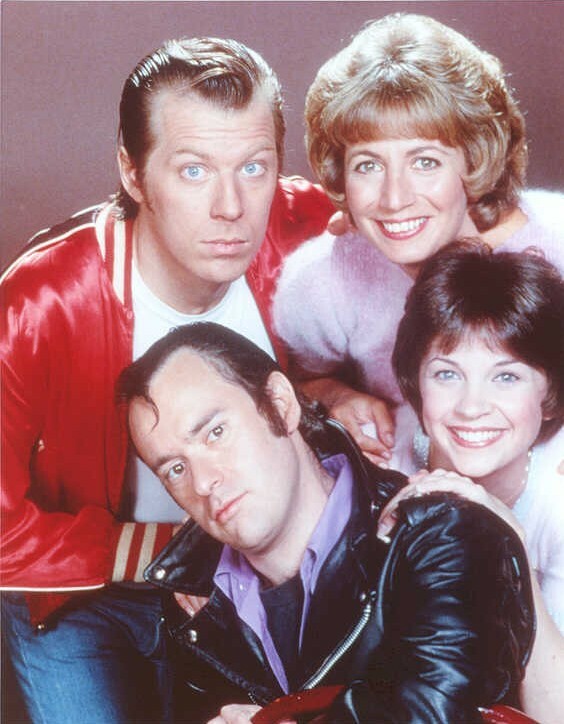 The series stars Penny Marshall, Cindy Williams, David L. Lander, Michael McKean, Eddie Mekka, Phil Foster, Betty Garrett, and Leslie Easterbrook. A spin-off of the very popular Happy Days series, Laverne & Shirley set a record as being the only series to debut as the most-watched program of the week. It also has the dubious distinction of running a bit too long. Williams abruptly left the show in 1982 so almost 20 episodes of Laverne & Shirley don’t have Shirley in them. Should they make a Laverne & Shirley movie? What do you think? Would you be interested in seeing a Laverne & Shirley movie remake or would it ilikely be as terrible as most of the other TV show-based movies? Laverne & Shirley: Is Jamie Foxx Writing the Movie or Not? Josh Groban Sings a Tribute to TV Show Theme Songs — What’d They Miss? There could never be another Laverne and Shirley… penny Marshall and Cindy Williams are unique… no one could ever do them justice… I have every episode of Laverne and Shirley and I would never want anyone to ever try to fill their shoes… it can’t be done. The chemistry between Penny Marshall and Cindy Williams can never be duplicated… simply put – they were the best … thanks for eight wonderful seasons and all the pleasure we get from watching the dVDs. ARE YOU KIDDING???? Jessica Biel is definately Laverne! Jennifer Garner is definately Shirley!! — Great Idea! While neither seems great casting for either role, I would assume it would be Jessica Biel as Laverne and Jennifer Garner as Shirley. The other way around makes even less sense. I think I would pretty much watch anything with those two in it. . . . Seriously though, I would be interested in seeing who would play Lenny and Squiggy – those would be some tough parts to cast – Maybe Jack Black and Jim Carrey????? No , it’s way too iconic. These two don’t fit the roles, which would play what anyway?